Hong Kong action hero Jackie Chan is Chinese Imperial Guard Chon Wang sent to the wild west rescue the kidnapped Princess Pei Pei (Lucy Liu). 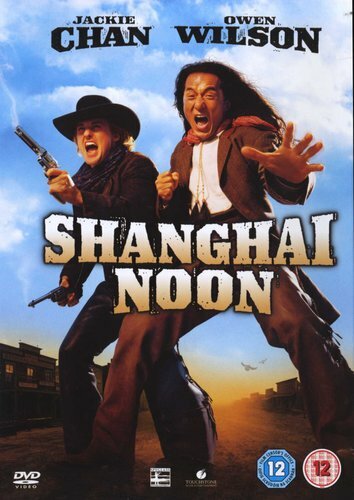 Here he teams up with the very laid-back cowboy Roy O'Bannon (Owen Wilson) as the duo take on the toughest villains, get involved in the biggest fights and bordellos and dodge jail in their quest to find the Princess. Other Documentary: 'Making of an Eastern Western'. 'Partners'. 'Jackie's Comedy'. 'Western Stunts, Eastern Style'. 'Hanging with Roy and the Kid'. 'Action Overload'. 'Choo Choo Boogie'.